June 20, 2016 - Like us now! Over the years, there has been a renewed interest in STEM education for children. Furthermore, there has been an emphasis on using innovative and unconventional ways for doing so. One Pakistani organization aims to promote science education among young learners by offering them the opportunity to learn by ‘doing’. STEM is an acronym for Science, Technology, Engineering and Math. It is the term used for the set of skills and knowledge in all of these four disciplines, each of which is deeply intertwined with each other. “Science Fuse” initially started out in 2013 as a small pilot interactive science workshop for the students of The Garage School— a charity-based school for underprivileged students. The program was conducted by Lalah Rukh, a Biotechnology graduate from The Norwegian University of Life Sciences and a science instructor. 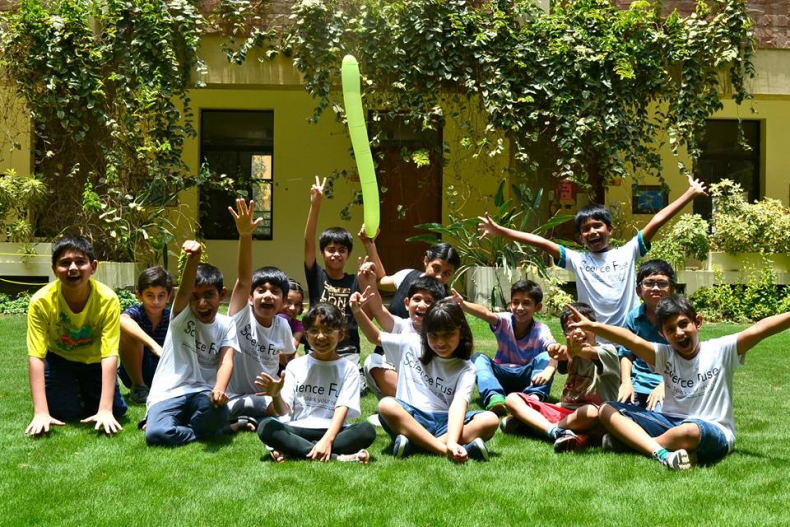 The very next year, Lalah Rukh coordinated and led a two-week-long science summer camp at Haque Academy. She also collaborated with the Aman Foundation and T2F for a week long summer camp and three science workshops. Finally in 2015, she collaborated with a group of science enthusiasts and educators and decided to give a proper shape to her goal of making STEM education better in Pakistan. Thus, Science Fuse was born. For most people science is merely a subject they study in school, a collection of facts they are made to memorize and recollect during exams.“Science Fuse” is a social enterprise which gives children an opportunity to experience science as a dramatic story of discovery. “In Pakistan, the perception may be that science is only about being a doctor or being an engineer but that’s not true,” said Faseeh Shams, co-founder and head of creative and business design at Science Fuse. “Science is not just that. Science is in everything!”. 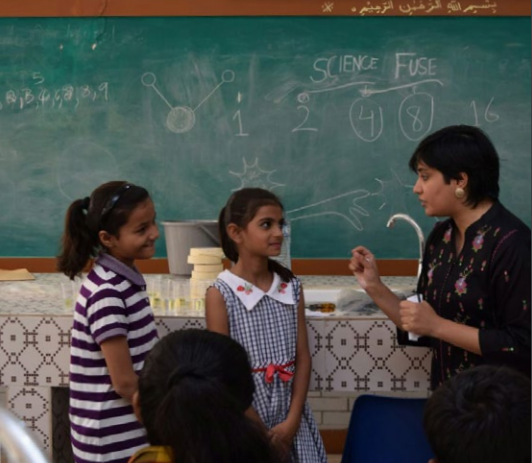 They are trying to change the way science is perceived, practiced and narrated across classrooms in Pakistan to inspire more children to pursue STEM (science, technology, engineering, and mathematics) education and careers. Their after-school learning programs are fun, interactive and hands-on. Moreover, these programs help children link science to their everyday lives. They also inculcate a sense of curiosity and help children develop critical thinking and science inquiry skills. If you happen to walk in on one of Science Fuse’s sessions, you will most likely see students working with straws and balloons to design rockets while they animatedly discuss Newton’s Laws. Or perhaps hear them talk about atoms and molecules as they try to understand how we can peel back the layers of the world to look into things that make things. You might even hear the Science Fuse team sharing stories of renowned local scientists such as Dr. Abdul Salam to inspire the next generation of innovators and problem-solvers. Basically, they provide three kinds of activities; Summer Camps, Science Shows, and after-school Science Workshops. The price for their various programs vary but none of them are too costly. Since the whole idea is to be sustainable, all of the little profits they make or any funds that they generate are utilized in making their offering of programs better and enrolling more students. 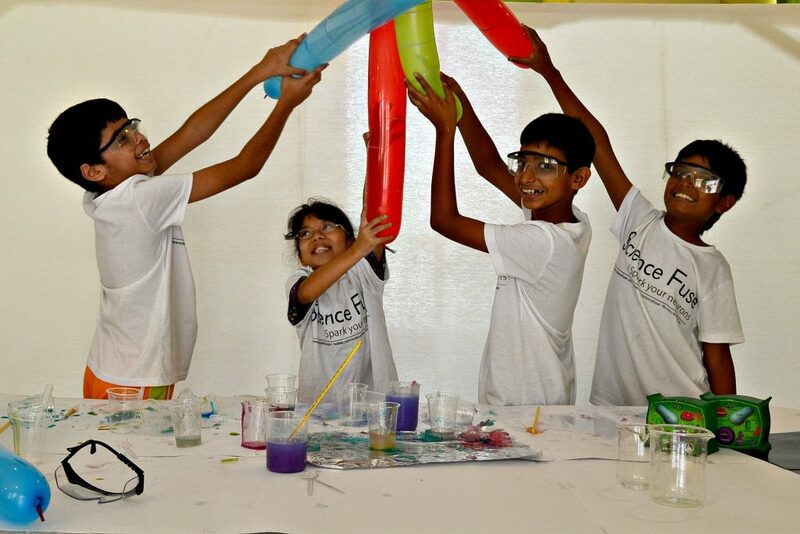 An annual program, the Science Fuse Summer School Camp is targeted at students aged 8 to 12. It lets the young kids engage in fun hands-on activities and learn about Science in a totally new way. It is one week long and teaches the basic concepts of biology, chemistry, physics and mathematics. Their summer camps costs range from around Rs.3,000-10,000. However, since their main aim is to educate the children about STEM regardless of their ability to afford it, they’ll even waive off the nominal fees just to ensure that more and more kids have the opportunity to learn. Under-privileged children can avail the programs for free on a pro-bono basis, funded through charitable collaborations. Science Fuse offers all-year round series of Science Workshops, filled with demonstrations, hands-on activities, and real world discussions to make learning about science and mathematics fun for young learners. These are mostly one-hour long and focus on topics like rocketry, magnets, polymers, and even the science of DNA. These Science Workshops are bursting with fun-filled activity. From blowing giant soap bubbles to learn about viscosity, liquid and volume to launching water rockets to learn about gases, pressure and force to building a giant DNA model using jelly beans, it’s all there. Science Fuse also organizes science-themed shows to engage young children in STEM. They even provide flexibility in terms by allowing these shows to be customized, depending on the group size, budget or time frame. You can apply to Science Fuse’s programs by contacting them through their website or Facebook page. According to Lalah Rukh, the response to their workshops and summer camps has been beyond amazing. 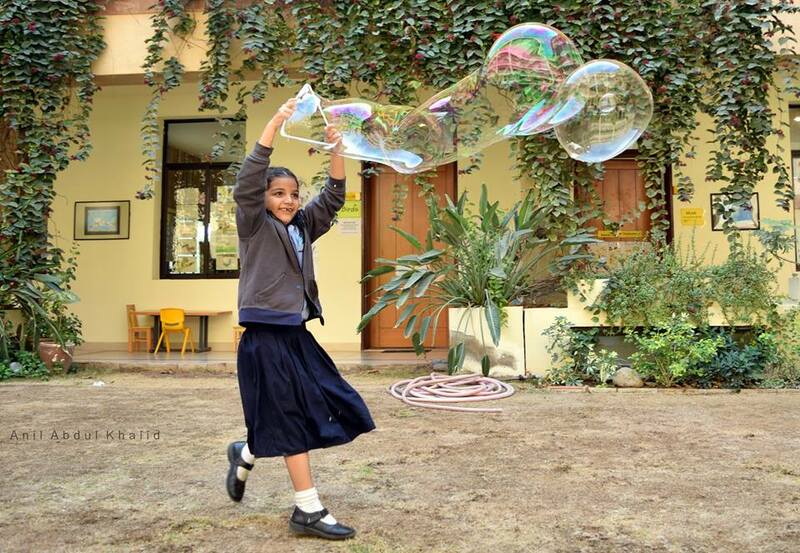 Thousands of students attend their programs from all over Pakistan, from small public schools to elite schools like the Karachi Grammar School, Aitchison College Lahore, and Bayview. Currently, they are in the process of introducing year-long programs, starting with Lahore and then Karachi. “Most of the students, after half an hour or even after 10 minutes, our absolutely onboard. For Lalah Rukh, Faseeh and the whole team behind Science Fuse, this is a way to give back to the Pakistani society. To make sure that STEM education gets the attention it really deserves.